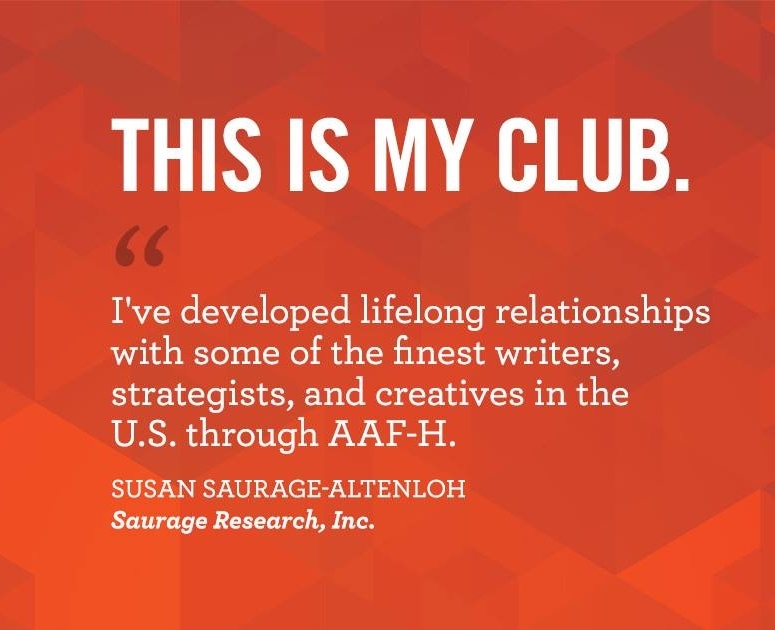 As a member of AAF-Houston, you become part of a network of talented professionals and gain access to tools, resources and connections you need to stay current in the industry. Professional Development: Educational initiatives in leadership, creativity, marketing communication, technology, and digital & social media platforms. Advocacy for the Rights of Advertisers: Protects and promotes advertising by expanding the recognition of the economic and social values of advertising and communication as an essential industry. Governmental Affairs: The AAF protects and promotes advertising at all levels of government through grassroots activities. AAF's nationwide network monitors advertising-related legislation on local, state, and federal levels and, when appropriate, puts members face-to-face with influential lawmakers, while encouraging self-regulation as a preemptor to government intervention. History & Legacy: AAF-Houston is one of the oldest trade associations in the Greater Houston area. Membership: Focus is on bringing corporate advertisers, agencies, traditional and new media companies, suppliers, and academia together through networking socials and special events for members. Advertising Excellence and Recognition: Award programs at local, district, and national levels that recognize personal, creative, community, and corporate achievemenst in the industry. Multicultural Initiatives: Industry actively supports multicultural initiatives in education, employment opportunities, and career advancement. Public Service: Opportunities to apply skills and member resources to address issues and help solve community concerns. Local Discounts: Members receive discounted tickets for Luncheon Speaker programs that feature prominent industry leaders and speakers both in Houston and when visiting other AAF chapters. Discounts on American Advertising Awards (ADDY) Entry fees are available to AAF-Houston members. A membership will pay for itself with the savings earned on only a few entries. 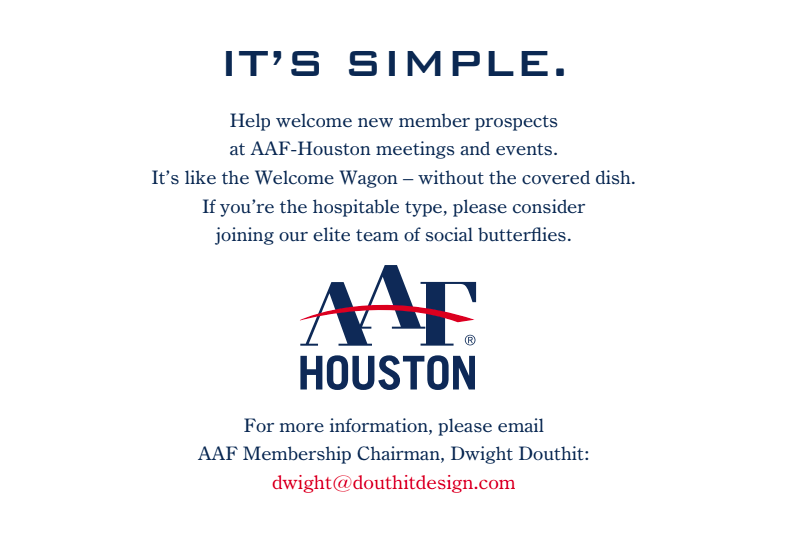 AAF District and National Discounts: Local Houston membership includes District and National dues, including available event registration discounts. AAF-Houston members have exclusive access to National AAF discount programs for goods and services – aaf.org. Now offering special pricing from April 1, 2019 through June 30, 2019! You may call the office to make payment over the phone at 713-237-9999. Please mail forms back to AAF-Houston via mailing address (P.O. Box 27592, Houston, TX 77227), Email adclub@aaf-houston.org or Fax to 713-822-8327. *A handling fee will be charged to cover additional processing costs.